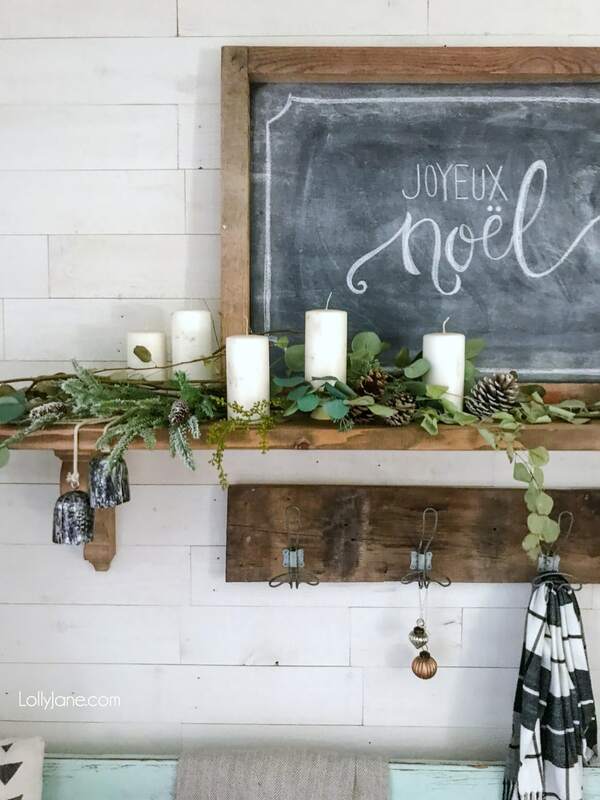 If you’re looking for a no-frills mantel that doesn’t cost an arm and a leg to deck your halls this season, you have arrived! 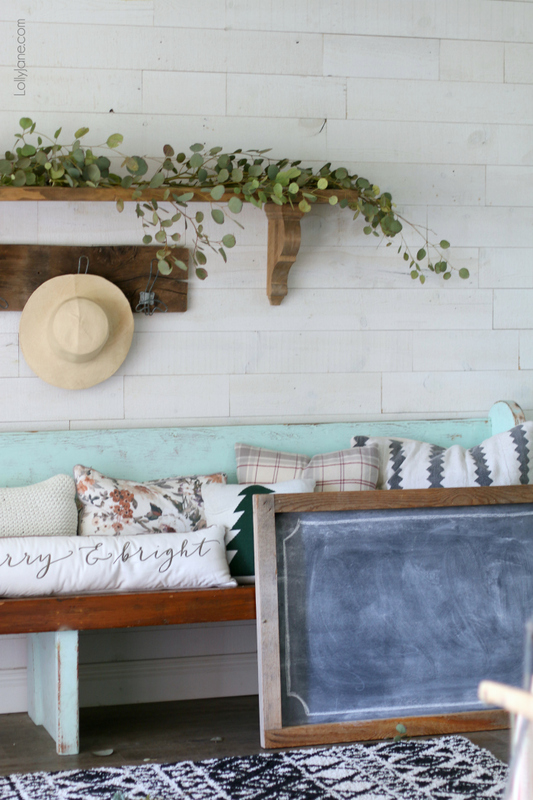 Meet our simple eucalyptus styled mantel that is eASY to replicate in under 5 minutes! I had this idea to run by my local Home Depot to nab excess branches in their throw-away pile (to use as a garland) like I’ve done in years past but alas, I forgot I live in Phoenix, Arizona and our Christmas tree lots don’t make their debut until mid-December as the tree branches get too crusty and brittle if you put them out too early. Instead of using faux, I simply walked out my front door with some kitchen shears and snipped a few branches from my eucalyptus tree just a few feet from my porch. It was much more convenient and total cost was $0, holla! 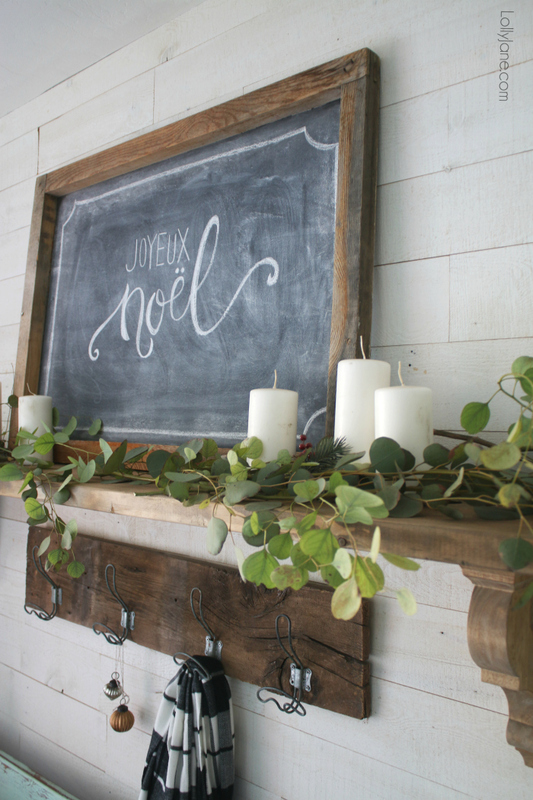 I’ve had this awesome chalkboard that’s been my go-to to double as an accent piece, center stage for a wreath display, or just as a station for my nieces/nephews to scribble on! 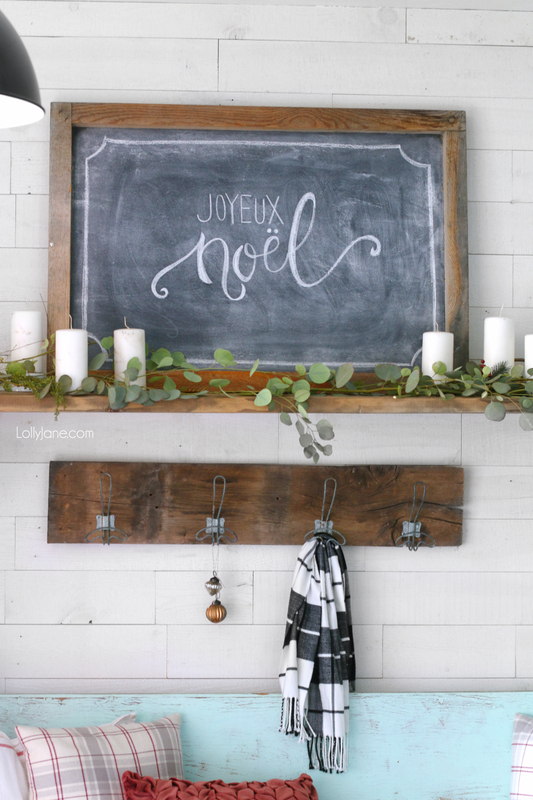 I simply had Kristi freehand JOYEUX NOEL across the board. BAM. Instant Christmas decor! You can accent around your mantel with ornaments to make it more Christmasy, or add twinkle lights. Get as creative (or simpler) as you wish! I love eucalyptus and this is gorgeous!!! 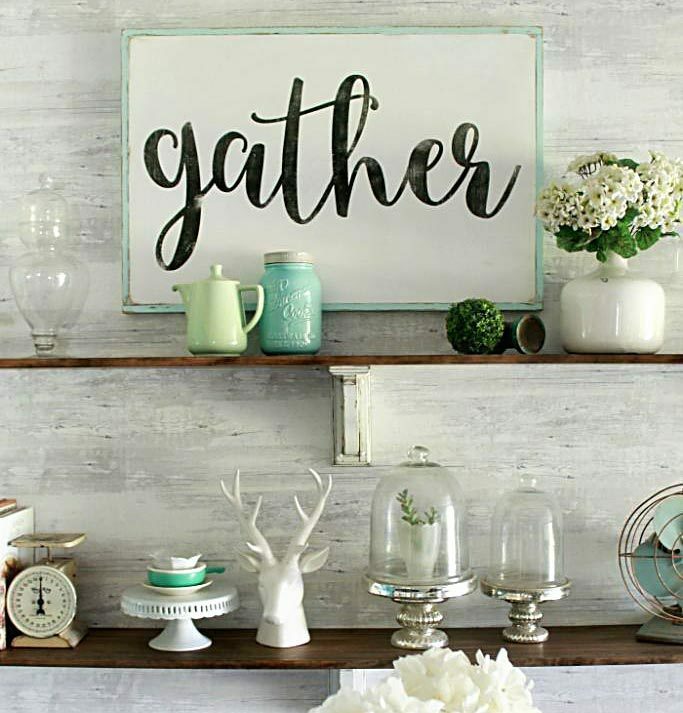 I love the simplicity and classic nature of your mantel. Eucalyptus is so lovely. This is so simple and beautiful! 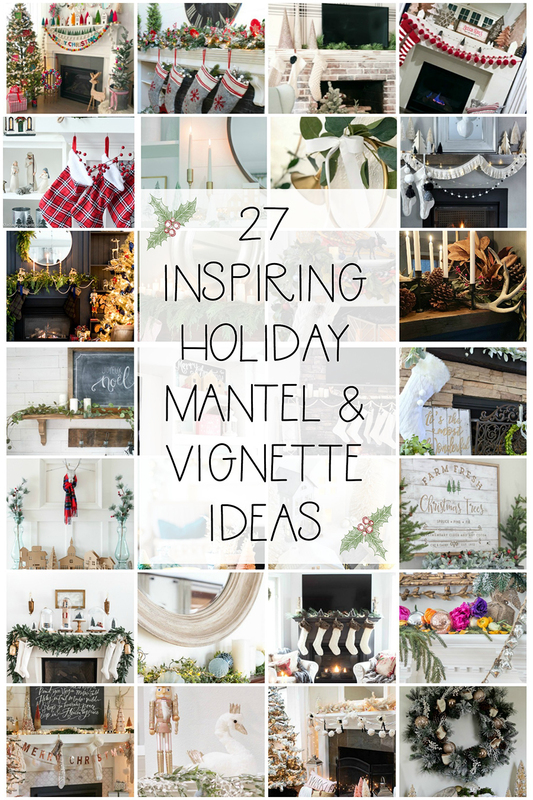 I’m pinning for inspiration for next year! Gorgeous, as always, Kristi and Kelli! Thank you April! You’re so sweet, happy Thanksgiving! I love the natural elements from the eucalyptus and I am sure it smells good too. Thank you for sharing and being a part of the blog hop. Thank you Lucy! :) Happy Thanksgiving! I love this! 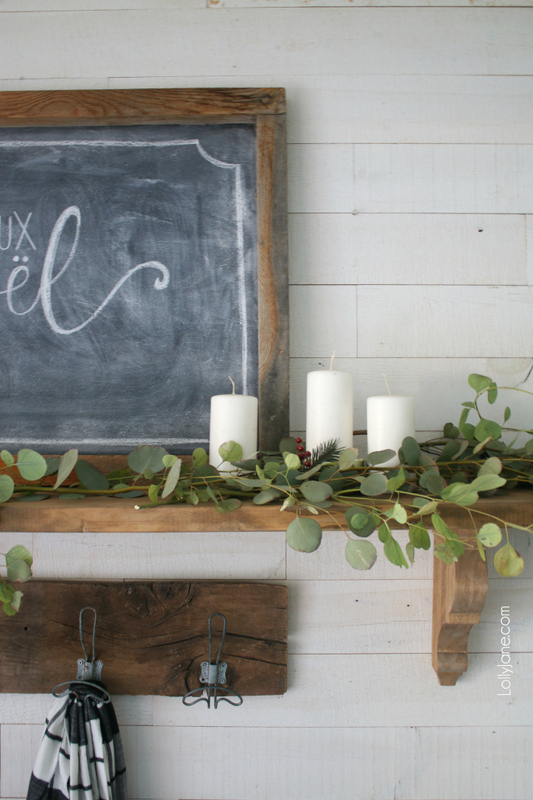 Eucalyptus is my favorite and it looks so pretty with the candles & chalkboard! I WISH I had a Eucalyptus tree! Gosh! It turned out so beautifully, girls! The simplest way is so often the best way! Hope you’re having a wonderful week!